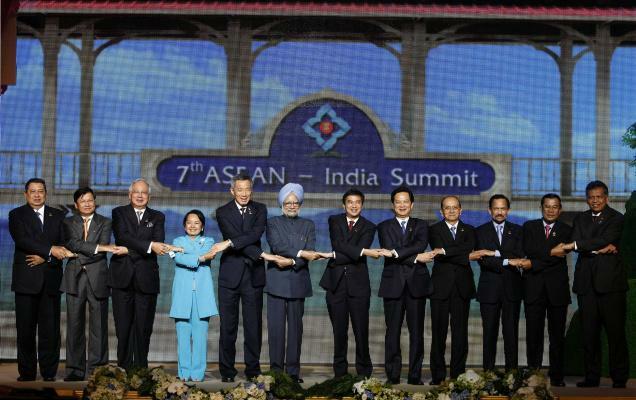 Seeking to up the level of engagement with Asean, Prime Minister Manmohan Singh on Friday proposed the establishment of a joint task force that could ensure a “substantive outcome” for India’s 10th summit with the South-east Asian grouping in 2012 and also offered to play host to the bilateral gathering that year. 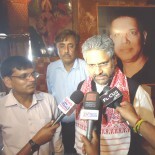 In a further reminder of the centrality of India to the emerging institutional arrangements in Asia, he also urged Japan’s new Prime Minister, Yukio Hatayama, whom he met on the sidelines of the Asean summit, to use the existing East Asia Summit platform — which includes India — as the building block for his proposed East Asian Community. According to a senior Indian official, Dr. Singh and Mr. Hatoyama had “a good discussion on the future of the East Asia Summit process and on the importance of evolving an open and transparent regional economic arrangement.” The official said the two leaders agreed that this regional architecture needs to be based on the new opportunities that India and Japan, as important economies, present to the region. He added that the Japanese Prime Minister noted India’s importance to the EAS process. Declaring cooperation with Asean to be “an article of faith,” Dr. Singh told the 10 regional leaders gathered here for the 7th bilateral summit with India that he was keen to strengthen links with the region, including by quickly concluding negotiations on the Trade-in-Services and Investment Agreement which could complement the free trade agreement in goods concluded in August this year. In keeping with the theme of this year’s Asean summit — ‘enhancing connectivity, empowering peoples’ — Dr. Singh proposed the establishment of an India-Asean Round Table that could provide policy inputs on future areas of collaboration, and enhanced cooperation in agriculture, food security and the application of space technologies. He also made an off-beat suggestion: that India and Asean jointly consider organising a “commemorative ship expedition” in 2011-12 on the sea routes developed during the 10th to 12th centuries linking India with South-East Asia and East Asia. Though India has been engaging Asean since 1992, the level of its engagement is still much less than that of other powers. Beijing recently announced a $10 billion China-Asean Fund on Investment Cooperation and $15 billion worth of commercial credit to support infrastructure development in the Asean region. And in November, the U.S. will hold a long-awaited summit with the grouping, close on the heels of its accession to Asean’s Treaty of Amity and Cooperation. Do you when is Hua Hin Summit? Jan 2010? After Vladivostok Summit, they will be having the Rathanbore Summit – any clue when is this? This entry was posted on October 25, 2009 by Siddharth Varadarajan in Asian architecture.